Advantech (TWSE: 2395.TW), a global leader in providing trusted innovative embedded and automation products and solutions, today unveiled its plans for the IBC 2018 Show where it will demonstrate how the latest additions to its VEGA family of video solutions enable agile, scalable and cost-effective UHD/4K and 8K video processing and analysis anywhere in the media workflow. Executive management, senior architects, and product directors will be available in Hall 11 booth 11.C32 to share Advantech’s vision on how commercial-off-the-shelf access to powerful video acceleration can greatly contribute to solving issues around high resolution encoding performance and content analysis. “Online and over the top video content will dominate in the following years and we can see how key players in the media, telecom, and internet industries are positioning themselves in this direction,” said Ted Feng, Senior Product Line Manager for Video Solutions at Advantech. “Accelerating this new online video era is in our nature and so we will be at IBC to show companies how we can help them catch the video wave in a cost-effective and timely manner”. Advantech will demonstrate high density and efficient live hardware transcoding solutions for the data center. This includes the unparalleled performance of the VEGA-3318 transcoding cards, each capable of up to 8 x 4Kp60 live or 32 x 1080p60 AVC or HEVC transcodes, still a world leading density. The boards are also available in deployment grade servers capable of transcoding up to 32 UHD/4K services or 128 1080p60 services for OTT delivery. This represents a substantial saving in power and space over conventional software options. 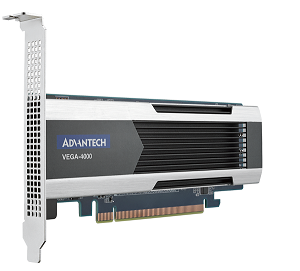 Advantech are also introducing the VEGA-4000 family of reconfigurable FPGA-based encoding accelerators that, in collaboration with industry leading encoder developers such as partner NGCodec, provide solutions for those interested instead in hardware-assisted VP9 and even AV1 transcoding. The VEGA-4000 and VEGA-4002 are deployment-ready PCI Express adapters supporting Xilinx SDAccel applications alongside a variety of video codec IP packages from IP partners. Built upon proven UHD/4K technology, Advantech will be expanding its partnership with Socionext and introducing a new partner, Spin Digital, to address 8K live HEVC encoding, streaming, and decoding for highly immersive experiences in a broad range of use cases including live OTT broadcasting, 360 VR, and medical applications. Built initially on the world’s first single board 8K HEVC encoder, the VEGA-3304, the product line up will expand to include additional direct video capture modes, integrated system options with the new VEGA-7010 1U short depth broadcast edge video server, and a new all-in-one compact appliance, the VEGA-6304. On the booth, Advantech will show the immersive experience advantages of 8K on both screen and VR using new 8K decoder technology from SpinDigital and a high-resolution headset from Acer. The new all-in-one compact appliance. 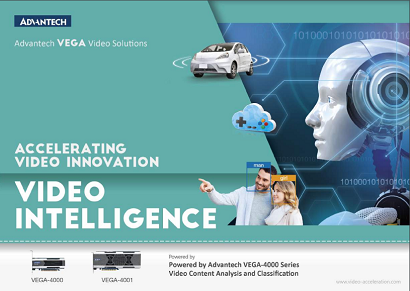 Video Artificial Intelligence and Analytics At IBC 2018, Advantech will be introducing the VEGA-4000 product family for accelerating the classification and analysis of video streams using reconfigurable FPGA technology. Artificial Intelligence and Machine Learning has become a hot topic as user generated content gets increasingly more pervasive, and Deep Neural Networks (DNNs) are deployed to manage the workload of classification and compliance. Built on the same Xilinx Virtex Ultrascale+ VU9P technology used by the majority of cloud service providers, the VEGA-4000 family of PCI Express boards allow efficient deployment of optimized DNNs in a wide range of target environments including appliances and private/hybrid clouds, and the reduced power consumption is ideal for edge computing applications and 5G. 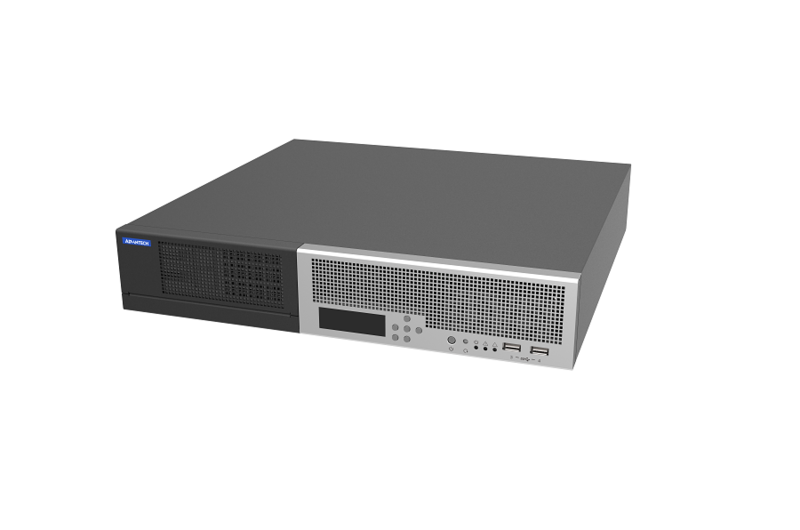 The product line includes the VEGA-4000, a low profile PCIE card for scale-out servers with a single VU9P fitted, and the VEGA-4001 that fits two VU9P devices in a professional GPU form factor for higher power machine learning tasks or combinations of flexible video decoding and content analysis. The boards support the new optimized Xilinx xDNN architecture for AI inferencing announced recently, and can accelerate standard deep learning network models such as Caffe, Mxnet, and TensorFlow. UHD Contribution and Anywhere Live Streaming Also on show is Advantech’s range of low power contribution grade UHD/4K encoding cards and compact systems, supporting live AVC and HEVC encoding with 10-bit pixel depth and 4:2:2 chroma subsampling. These find use in a wide range of OEM applications from professional systems for live event broadcasting to medical compression and recording applications. These are joined by the ultra-low power VEGA-2001 portable encoding and streaming modules. The latest incarnation of the VEGA 2001 supports SDI-12G and HDMI capture, UHD/4K AVC and HEVC encoding, and implements streaming protocols commonly used by Content Delivery Networks and compatible with services like Facebook Live. It is available in an OEM customizable box. Advantech will be showcasing their new products in IBC booth 11.C32, September 14th to 18th, 2018 in Amsterdam. For more information and to book an appointment, please contact video.solutions@advantech.com or visit www.video-acceleration.com. Video Solutions Founded in 1983, Advantech is a leader in providing trusted, innovative products, services, and solutions. Advantech VEGA Video Platforms and PCIe Adapters are designed to boost video infrastructure performance from acquisition to distribution at the lowest power budget while fully complying with the media industry needs. 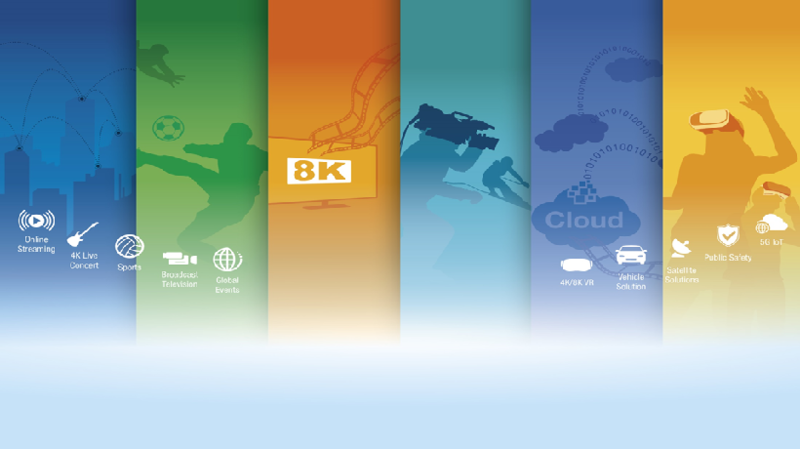 By providing access to the latest 4K/8K UHD video processing and IP media technologies on commercial-off-the-shelf IT platforms we accelerate the deployment of next-generation, open and more efficient video solutions across a wide range of applications from broadcast encoding and high-density OTT transcoding to cloud, mobile and 360° video. Advantech’s standard portfolio can be tailored to meet a range of system requirements, significantly reducing time-to-market effort for our customers. 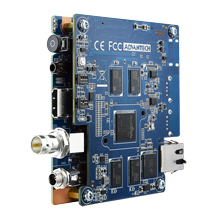 Contact video.solutions@advantech.com or visit www.video-acceleration.com.